Enter values for an Hsv to convert it to Lch, or vice versa. Hsv (also known as Hsb) is similar to Hsl. They're both based on cylindrical geometries, but Hsv is based on a "Hexacone" model while Hsl is based on a "Double Hexacone" model. Read more about the differences on wikipedia. 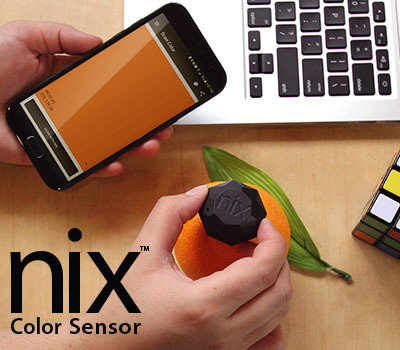 If you're into color, color theory or design you should definitely check out the award winning Nix Color Sensor. It really is a game changing tool. All calculations were doing using the open source ColorMine library. Color conversions performed using the open source ColorMine library. Looking for a specific conversion?